"When we needed a new roof, we went back to Kincaide as they had helped us before. The second time proved even better as Scott and his team worked with both our schedule and with our insurance company. Kincaide did a phenomenal job getting us exactly what we needed at the lowest price and talked us through the entire process. If you call, don't be surprised if he can't get to you right away - he's in such high demand because he does the best work at the best price." "Scott Kincaide is the best contractor I have ever had work for me. He is on time, professional, very polite. He and his crew showed up and finished my garage and house in one day (complete tear off and re-shingle). The yard looked as if they were never there after they finished. I was not able to be there to see everything they did so he took pictures of the whole job start to finish so I could see everything they did. I am telling all my friends and family about Kincaide Construction." "Scott and his crew are great. Gave me a good quote and Scott is very detail oriented which is very important when doing a roof. I am very happy with them and would recommend them to anybody looking for a new roof. Good guys......."
Put your mind at ease. Hassle free estimates. No sub contractors. Just professional roofing service that you would come to expect from your Garden City Roofer. The proof is in the roof and their is no roof that we can't repair. We offer same day appointments so go ahead and give us a call today. ﻿Every member of the Kincaide Construction crew comes well equipped. We have many years of experience in the roofing industry. We have the training, certifications, and experience needed to properly install or repair your roof. As well as, South East Michigan's premier roofing company, Kincaide Construction is also a full service General Construction company. We can handle all types of jobs including siding, gutters and more so you can be rest assured that you are getting the highest level of workmanship throughout the entire process. We look forward to adding you to our list of happy customers. If you need roof repair or replacement Kinacide Consturction can get it done. We fix it right the first time. Call today we are certified and licensed and insured. We are close by in Allen Park, MI. Allen Park is a little town in the SE Michigan Area. If you find yourself with a leaky roof or if it looks like your roof is toast then call Kincaide today. The proof is in the roof. 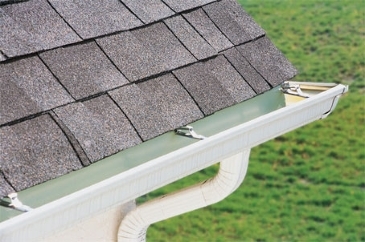 Gutter replacement or repair we can help you with your gutters. 15 years of experience. 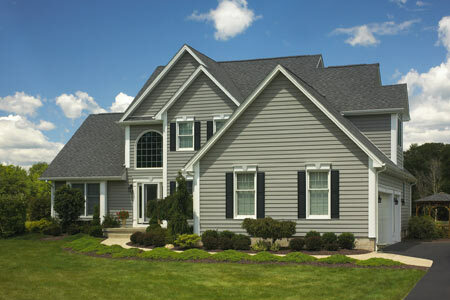 If you need new siding or a repair we can help with vinyl, wood surfaces. Call us today for a free estimate. "I had a bad leak in my roof and Kincaide was not only able to give me an estimate the same day but repaired my roof in one day too."